Size: 740mm x 10mm x 12mm front to back. 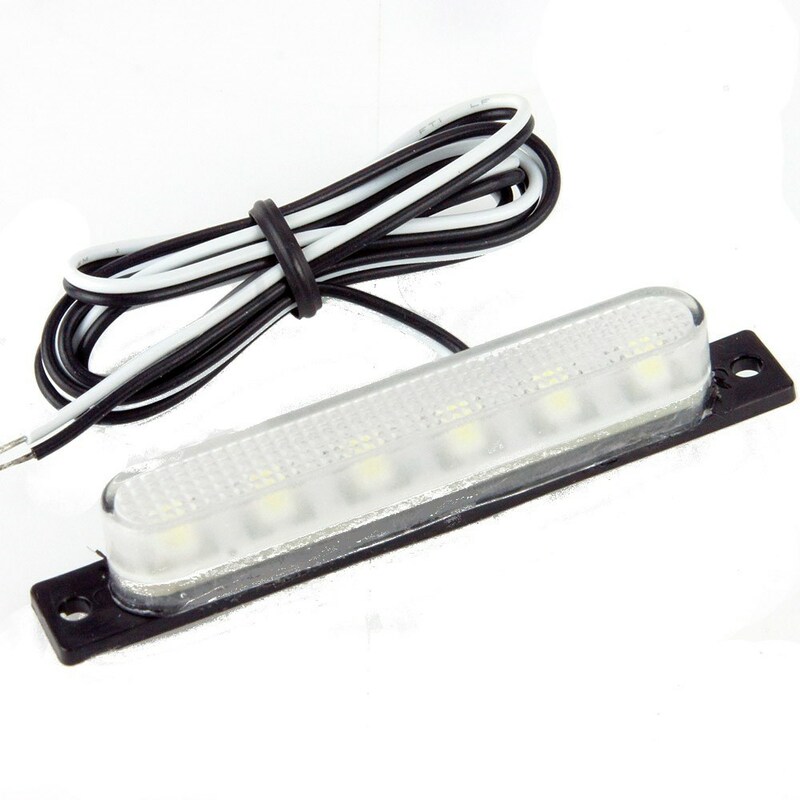 Also suitable for rear number plate, marker lights, side lights, daytime running lights. Size 74mm x 10mm x 12mm high. Two, 2.5mm mounting holes at 68mm centres. Overall size. 100mm x 25mm x 10mm high. Size 86mm x 33mm x 11mm thick. Overall size: 100mm x 25mm x 10mm high from mounting surface. Size: 57mm x 15mm x 14mm high. Just 25mm x 83mm with 6mm front projection. Accepts a single relay and three blade type fuses. For simple on/off switching of fans, horns, lamps etc. Fits in a 12mm hole. 25 Amp. Head diameter 12mm. Shaft diameter 6mm. Fits hoses with an O.D of 13-15mm. 14.3mm long and fits through a 6.5mm hole. 10mm dia 1mm deep shoulder.